It isn’t every day that a new band takes the stage for the first time and gets noticed right off the bat, but it also isn’t every day that a band like Kim Field and The Perfect Gentlemen comes around. 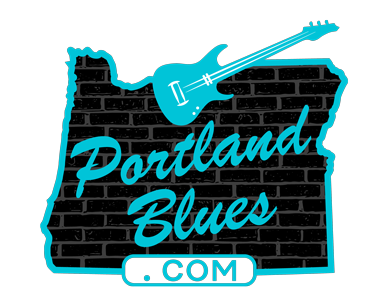 The band is a new, Portland-based all-star, roots-music group led by renowned harmonica player and vocalist Kim Field, a two-time nominee for the Washington Blues Society’s BB Awards. Field has worked with Isaac Scott and fronted Seattle bands The Slamhound Hunters and The Mighty Titans of Tone. Field moved to Portland in 2017 and has now put together The Perfect Gentlemen band including Alan Hager (guitar and vocals), Whit Draper (guitar and vocals), Albert Reda (bass, keyboards, and vocals), and Ed Pierce (drums and vocals). Individually, the members of the Perfect Gentlemen have been honored by the Cascade Blues Association with a total of 27 Muddy Awards for their instrumental prowess and their recordings. Guitarist Alan Hager, bassist/keyboardist Albert Reda, and guitarist Whit Draper have all been inducted in the Cascade Blues Association’s Hall of Fame. With their international reputations as true blues stars, Kim Field and the Perfect Gentleman are sure to quickly establish themselves as one of the Pacific Northwest’s premier R&B acts. Kim Field and the Perfect Gentleman will debut at The Blue Diamond, 2016 NE Sandy Blvd. on Tuesday, February 12 at 8:00 pm. 21 & over please.